EduFirst Learning Centre was set up with the aim of providing a premium education service for our students. With an extremely class size of between 4 to 8 students, we seek to maximize the potential of each child. The small group size creates a conducive environment for optimal learning through close teacher to student interaction. Our tutors are carefully handpicked and had gone through stringent selection to ensure that potential of each child is maximized. The mediocre teacher tells. The good teacher explains. The great teacher inspires. We strongly believe passionate and committed tutors are key ingredients to help a child excel in their studies. There are many highly-qualified teachers, yet only a few are able to touch the heart of a child with their true and genuine passion for teaching and educating a child. Teachers at EduFirst Learning Centre have undergone a stringent selection. Besides their qualifications, most importantly, they must have the true passion and commitment to teach, to motivate and to inspire. ﻿Many children have a fear of their teacher, and the large class sizes in schools further deters them from raising questions. This is the reason why, at EduFirst, we strongly believe in only having a small group size. Not only does this facilitate a close-knitted relationship between the child and teacher, it also minimizes the awkwardness for asking questions. A group of like-minded students learning together will help to motivate and encourage effective group learning. Our small group size helps to build strong rapport between the child and the teacher, thus minimizing the power distance and encouraging a child to open up and clarify doubts with their teacher. 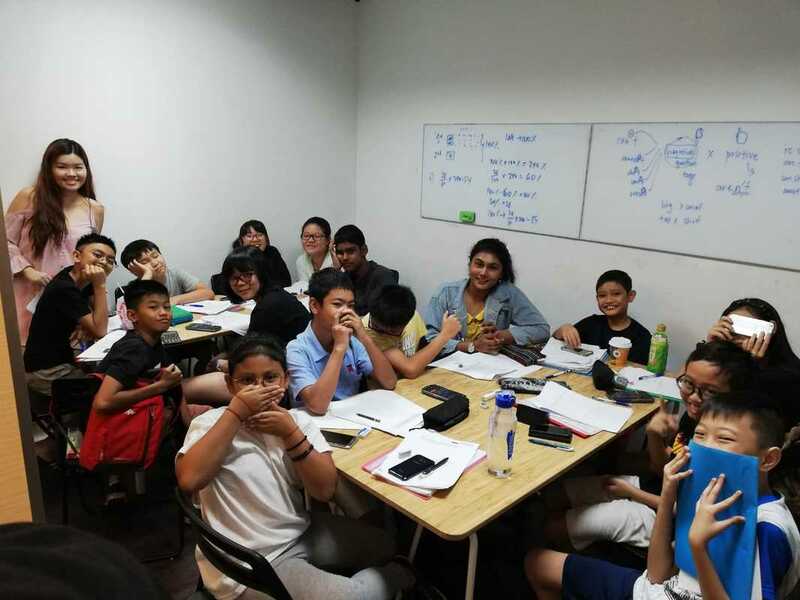 Our team of curriculum specialists, which are made up of experienced tutors and NIE-trained teachers, ensures that the materials used at the centre are constantly updated with the MOE syllabus. Their vast experience in this field helps them to identify and pick out good and challenging questions that serve as a good source of practices for our students. Seeking feedback on your child’s progress is only a SMS and a phone call away! When in doubt, just SMS to find out more about your child. Furthermore, this service has also encouraged 2-way communication between the centre and the parent. The parent can work with the centre to help the child to improve their results. Every child is different, and their pace of learning varies. This is why, at EduFirst, we do not believe in using a generic teaching approach for all students. The teachers would personally prepare the materials for each child, ensuring a more effective learning for the child. We target the weakness of each child and work on that area to help them to fully understand the concepts. We believe in maximizing a child’s potential. But in order to do so, we adopt a progressive learning approach. This helps the child to build strong conceptual understanding of the subject/topic, which would later on enable them to embark on more challenging questions.